I’ve completed my secondary education and international baccalaureate (a-levels) at a Humanistic grammar school in Bavaria, Germany. Its foundation (i.e. humanism) was that individual thought and evidence (rationalism, empiricism) is very important and should be preferred to established doctrine of faith. Consequently, Darwinian evolution was repeatedly taught as established fact and often made it very hard for me to be a Christian in an environment that constantly challenged my world view and beliefs. Whilst I don’t believe a lot of the things that I had to learn during that time, it most certainly helped me to view the world from a secular perspective. It taught me to not blindly believe things but look at the facts and evidence and come to my own conclusions. Consequently, this has led me on a long journey during which I’ve read dozens of books for and against evolution. I didn’t want to simply adopt the opinion of somebody else but decided to actively seek for my own answers regarding the validity of Darwinian evolution. I’m now finding it highly fascinating to see how Darwin’s theory is gradually losing ground as an increasing amount of people are getting challenged in their belief in evolution. 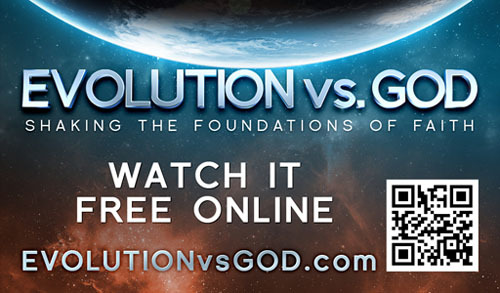 For example, Evolution vs God – a film by Ray Comfort (Living Waters) is currently making a big impact around the world. During that film Ray Comfort interviews professors and students from the University of California about the surprising lack of evidence surrounding evolution. 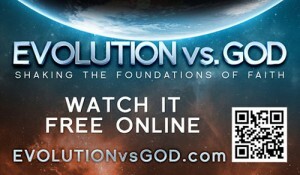 You can view the film at www.evolutionvsgod.com. 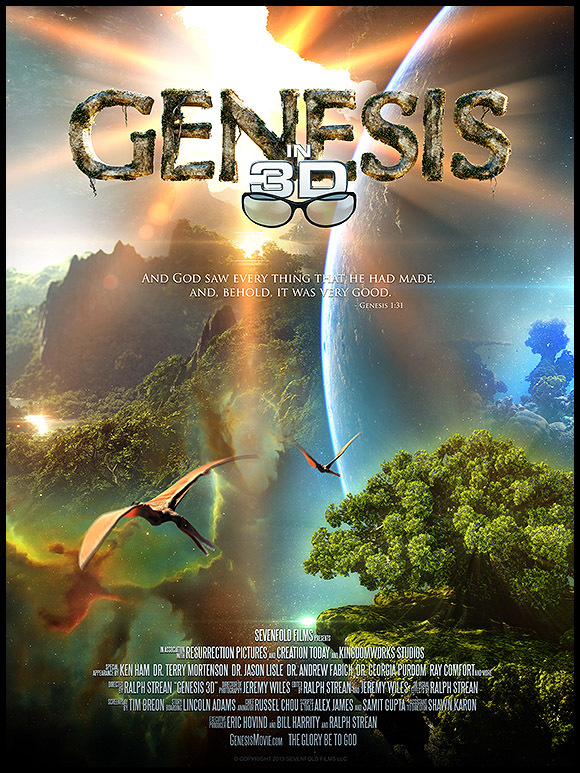 Another interesting project is “Genesis 3d” – a media project where Christian film makers aim to produce a high quality 3d animated movie about the first book of the Bible. They are currently raising funds to complete and launch the film. For more information visit their websites – www.genesismovie.com or www.indiegogo.com/projects/genesis-3d-movie. Finally, another very interesting book that has just been released is “Darwin’s Doubt” by Stephen Meyer. A great and insightful summary can be found here – Darwinism and Materialism: They Sink or Swim Together. Why does all of this matter? Well, if evolution is true then my life is a cosmic accident with no long-term meaning, no morals, no purpose and consequently no hope. I should just eat, drink and party as much as possible for soon I will die and perish forever. If, however, there is a creator and we’ve been intelligently designed then it’s definitely in my interest to find out about his existence. Maybe he has left clues for us? Maybe he has already made his will very clear through his creation, our conscience and possibly his written Word?! After all, this could have eternal consequences for me and impact on how I should live my life. This is definitely good news, David. Somehow we’ve become a world where the never observed becomes “scientific”, and written history plus what our God-given senses tell us all the time becomes a “fairy tale”. This subject is very important to me, as it strikes directly at the foundation of the Bible. Many Christians get confused, and try to weld Evolution and Creation together, but it cannot be done, as Evolution requires belief in the god of aeons of time, while the God of the Bible requires belief in him alone as God. I spend lots of time on the comments section of the Evolution vs. God video on youtube. Having found that nearly all Evolutionists confuse “change” for “evolve”, i’ve written much about what those words mean. 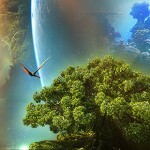 All observed living things have been observed to change. No observed living things have been observed to evolve. Creationists understand that Creation fails the scientific method. Evolutionists generally don’t yet understand that Evolution also fails the scientific method. That doesn’t mean the scientific method is greater than either worldview, but it does mean that to be honest, Evolutionists should stop calling Evolution “scientific”. I made a short video about how Evolution fails the scientific method. Richard Dawkins has said “Evolution has never been observed while it is happening”. Richard Feynman says to determine if something passes the scientific method: “compare it directly with observation to see if it works”. Since Evolution has never been observed, it fails the scientific method. Well done David – it is really important to keep this debate in people’s thinking and before people’s eyes. As with every aspect of spirtual truth, there is a wealth of evidence that the vast majority of people aren’t aware of – like a parallel existence that is just waiting to be discovered and explored. Keep pushing the boundaries to find ways to bring living faith in a loving God home to people’s hearts! I’m sorry, but there is much evidence for evolution. I understand why guys reject it, but it just that evolution has so much evidence that I can’t. I don’t understand why evolution and christianity can’t work together. What’s the problem here? It doesn’t really conflict with the bible at all. The bible never states anything against it. It really depends how you define the term “evolution”. I have no problem with the concept of “natural selection” and “survival of the fittest”. There’s definite proof for adaptations and changes within a species. What I (and many other Christians) disagree with is the evolution of one species into another. Consequently accepting evolution over millions of years collapses the whole Christian theology and world-view. There are massive problems with Darwinian evolution, e.g. lack of fossils (pretty much all of the intermediary forms in evolutionary trees have never been found), mutations usually mean a loss of information – not an increase, the fine-tuning of the universe, the sudden appearance of a wide range of species during the “Cambrian explosion”, etc. If you’re interested in this issue I’d very much recommend the “Case for a Creator” by Lee Strobel or some of the resources by Answers in Genesis. His books are currently on offer as audio books at http://www.christianaudio.com. One of his books is even free this month. I don’t think I know enough about biology or theology to definitively say that that this view of evolution and Christianity is the truth, but I do think I can say that accepting the accuracy of evolutionary theory does not mean collapsing or evening weakening my faith. C.S. Lewis explores this idea in “The Problem of Pain”, I highly recommend it.